If the pages you visit are loading slow and opening for what may seem like ages, there are several factors to blame. 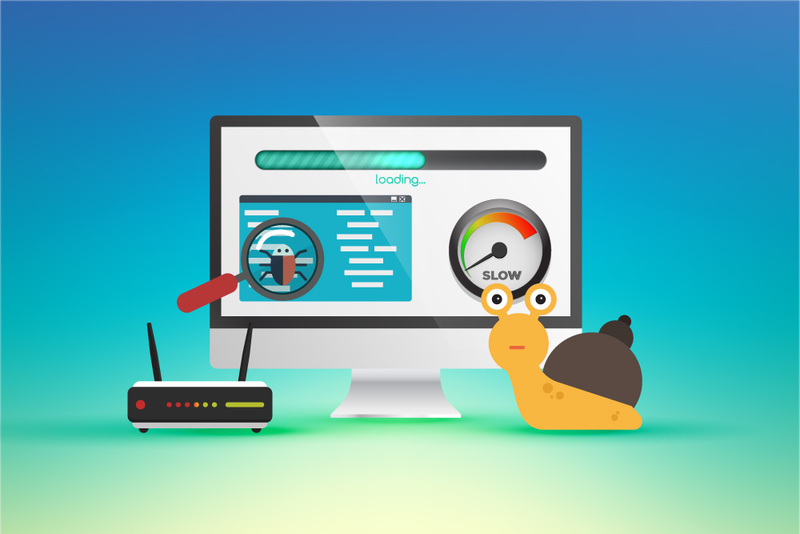 So what are these factors that affect your Internet speed? Read and learn from this article. The speed you are getting heavily relies on the network equipment you are using. These include the router or cable you are using. Say for example, an ethernet connection is quite faster and more reliable as compared to Wi-Fi. If you’re utilizing a Wi-Fi connection, the speed of your Internet service will become more sluggish as more devices connect to your network. If your Wi-Fi router is at a farther distance from your devices, your Internet speed will be slow. A solution for this will be getting a wireless repeater. Once a virus or malware attacks your system, it might be wreaking havoc in the back end, connecting to the Internet and sucking on your device’s Internet resources. Be extra careful by making sure to download an antivirus program, and only download add-ons and extensions offered by trustworthy providers. If you are running way too many applications that need access to the Internet at the same time, you will be bogging down your Internet speed. You might not even notice that some of them are running in the background. Always do a quick look at the auto-update, sync, and the backup settings of your apps if you are into file-sharing. Also, see to it that you have only the needed add-ons and toolbars in your browser. Remember that an excess of these apps will really drain your bandwidth. How Many People Are Connected to the Internet? Internet speed becomes really slow when a large number of devices are connected to the Internet simultaneously. These lags usually occur during peak activity hours, such as in the evening when everyone connects to the web to check their Facebook accounts. Slow Internet is also common in crowded and public places where Wi-Fi is available. Do you want to enjoy faster speed when you surf the web? There are apps that will not only increase your Internet speed, but also help your browser become faster. Software such as Opera Turbo help in compressing data, thus making webpages load faster even if you are on a slow Internet service. Also, do regular checks to see if there are problems that may be affecting Internet speed. Lastly, you can solve the hassle of slow Internet by avoiding peak hours when people go to the sites you want to access. And also, the best thing you can do to get high speed Internet is to take advantage of fiber optic Internet. Talk to your ISP and have a certified fiber optic technician hook you up to quality Internet.